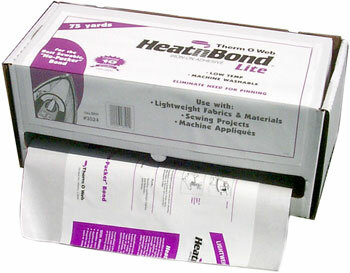 Heat activated adhesive with the strongest bonding power of any lightweight adhesive. Won't add extra weight or stiffness. For use with light to medium weight fabrics. Ideal for appliques, quilts and other sewable lightweight craft projects. Machine washable.